Historically, the SV series cars are HSV’s top model in terms of on-road performance and the SV300 is no exception. The HSV Callaway enhanced C4B V8 engine boasts 400HP. Without a doubt, the C4B is Australia’s most powerful production car powerplant. The SV300 puts power to the ground via a close ratio, six-speed manual gearbox. The SV300 is a performance sedan of immense capabilities, created in the same vein as previous SV models. 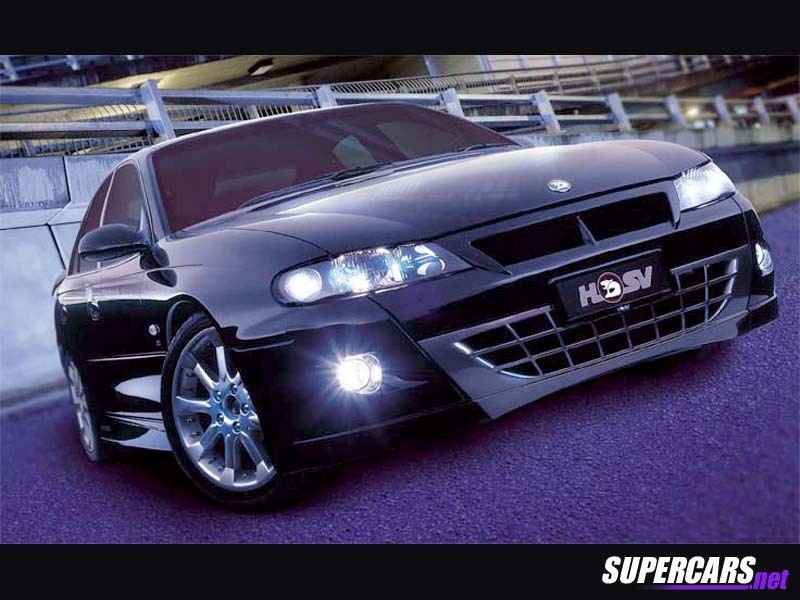 Only 100 of this limited edition HSV model will be manufactured for the Australian market with production beginning in September 2001. Distinctive exterior styling immediately set the SV300 apart from other HSV product. The bold frontal treatment features a striking crosshatched lower intake grille with colour highlights. This limited production car sits on 18-inch chrome silver alloy wheels while specific SV300 identification also adorns the side skirts and boot lid. The SV name is synonymous with exclusivity and a complete engineered package of style, comfort and performance. The limited edition SV300 sets a new benchmark for these attributes.